The AC2000 External Systems Interface removes the need for custom software development when an interface to a third party system is required. 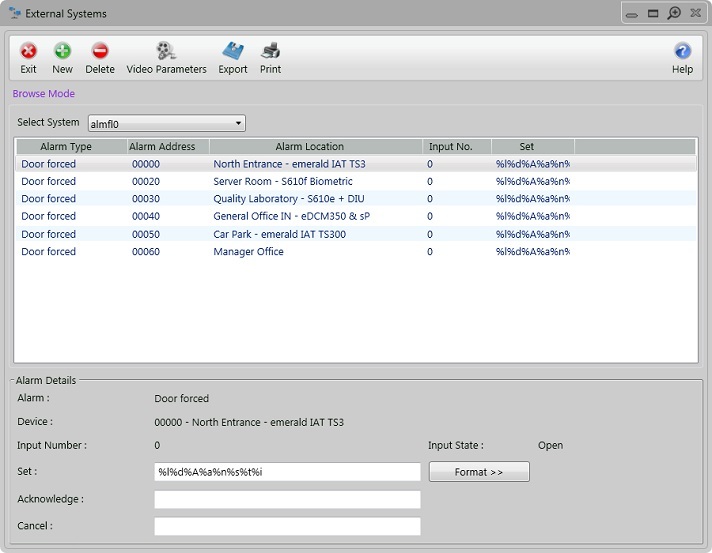 It provides the user with a quick and easy way of configuring their own interface. It works by sending user defined messages when alarms are triggered, acknowledged or cancelled on the AC2000 access control system. Interfaces are configured using the intuitive AC2000 user interface and will operate in real time, giving a seamless solution to many third party interfacing requirements.